In this paper we introduce Accurate Linguistic Modelling, an approach to design linguistic models from data, which are accurate to a high degree and may be suitably interpreted. 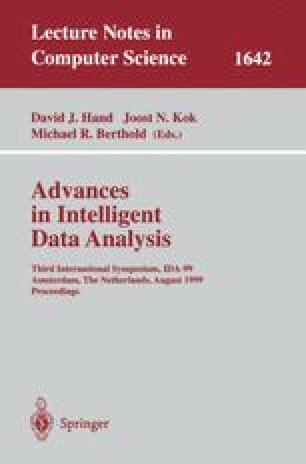 Linguistic models constitute an Intelligent Data Analysis structure that has the advantage of providing a human-readable description of the system modelled in the form of linguistic rules. Unfortunately, their accuracy is sometimes not as high as desired, thus causing the designer to discard them and replace them by other kinds of more accurate but less interpretable models. ALM has the aim of solving this problem by improving the accuracy of linguistic models while maintaining their descriptive power, taking as a base some modifications on the interpolative reasoning developed by the Fuzzy Rule-Based System composing the model. In this contribution we shall introduce the main aspects of ALM, along with a specific design process based on it. The behaviour of this learning process in the solving of two different applications will be shown.